A signature concept car of the 1970s, the Maserati Boomerang was a one-off prototype unlike anything seen before. 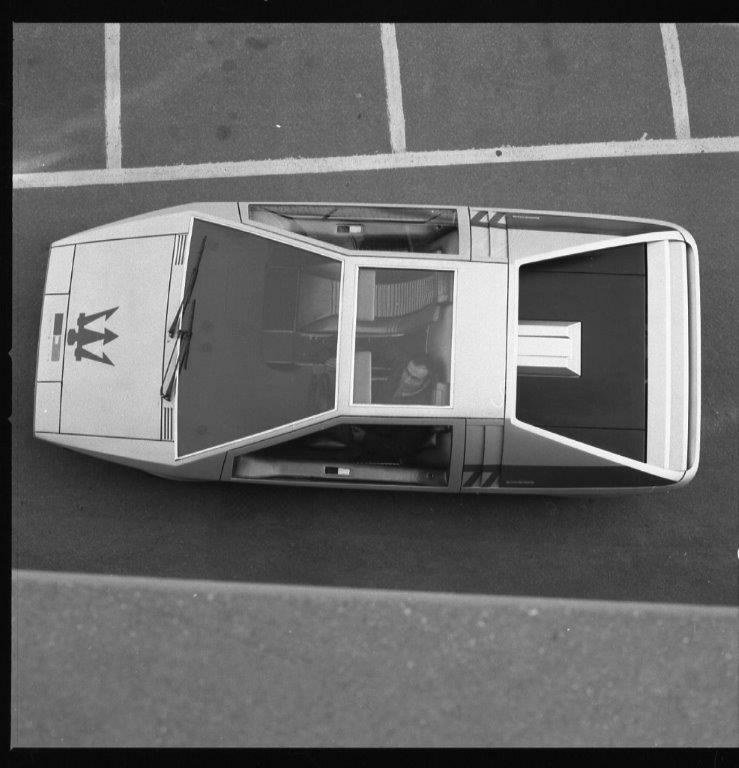 Using geometric shapes and ruler straight lines, its angular style made a strong statement at the 1971 Turin Motor Show. Now the Boomerang is set to cause a stir once again as a highlight lot of Bonhams 5th September Chantilly Sale. First unveiled at the 1971 Turin Motor show, the Boomerang was also exhibited at the 1972 Geneva Motor Show, this time transformed to a fully operational vehicle. Developed over the chassis of the Maserati Bora, the Boomerang boasted an impressive 300bhp, and a top speed of 300km/h. With the V8 engine, the Boomerang took the best of Maserati mechanics and combined it with the imagination of Giorgetto Giugiaro. These elements created a fully functional, one-of-a-kind masterpiece. Giugiaro was discovered by Fiat Technical Director, Dante Giacosta, who, impressed by the artist’s work at art school, offered him a chance to join Fiat’s Styling Office. 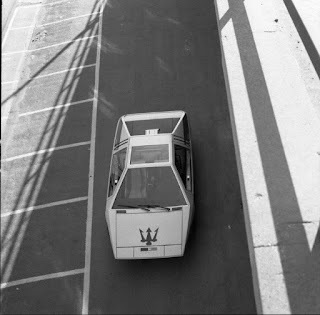 In 1959, four years later and at the age of 21, the talented Giugiaro was offered a position as manager of the Bertone Design Centre, where he honed his craft by creating designs for the likes of Aston Martin, Jaguar, Ferrari, and Maserati – this grounding later lead to the innovative design of the Maserati Boomerang. Still in working order and fully road registered, the Maserati Boomerang is offered at Bonhams Chantilly Sale, taking place on 5 September at Chantilly Arts & Elegance Richard Mille, held in Chantilly, France.